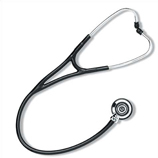 The BEST RANGE of Medical uniforms and accessories. Trippi’s Uniforms offers a large selection of lab coats, scrubs, clogs, and accessories for every medical professional. We stock only the finest brand names in medical apparel because of their proven record in customer satisfaction. 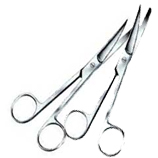 Barco, Dickies Medical , Cherokee, and Peaches are some of the lines we carry in scrubs and Littmann, DRG, and Prestige are the accessory brands. When purchasing scrub pants, be sure to buy Petite, Regular or Tall based on your body type. Any professional retail store should have them available in stock or as a special order. Trippi’s Unifroms understands how much time medical professionals spend on their feet, so we are sure to stock a variety of comfortable footwear. Dansko, Nursemates, Rockers, and Skechers make up our shoe department because of their history of comfort, style and durability. There is such a wide range of products to choose from, so special orders are not a problem. Trippi’s Uniforms specializes in group sales assistance, whether servicing a school program or a non-profit organization. We possess the knowledge, stock, and efficient staff to expedite every aspect of the special ordering process. Ask our staff about group discounts and drop shipping options. One of the most noticeable differences between Trippi’s and our competitors is our competent on-site alterations department. We know how valuable each person’s time is, so we offer FREE ALTERATIONS —hems on pants and sleeves shortened, often times while you wait. 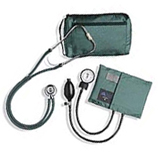 We have accessories such as blood pressure cuffs, stethoscopes and other Medical Supplies .... You name it, we got it! If we don't have it, we can get it!